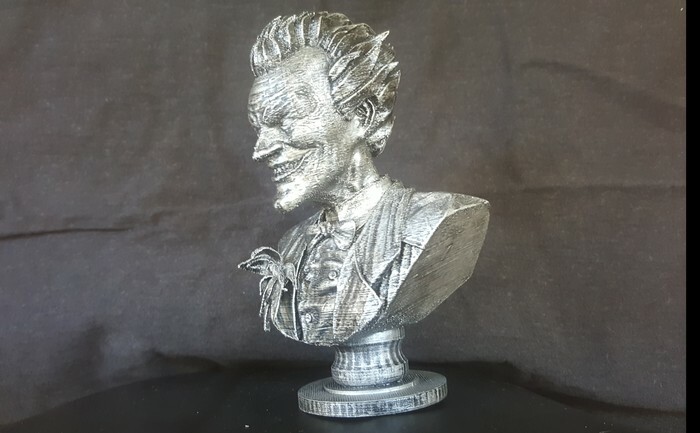 This 3D printed Joker bust is made out of PLA (light weight, hard plastic) and hand-painted with acrylic paint to give an aged metal effect . It is finished off with a semi-gloss clear coating for protection. 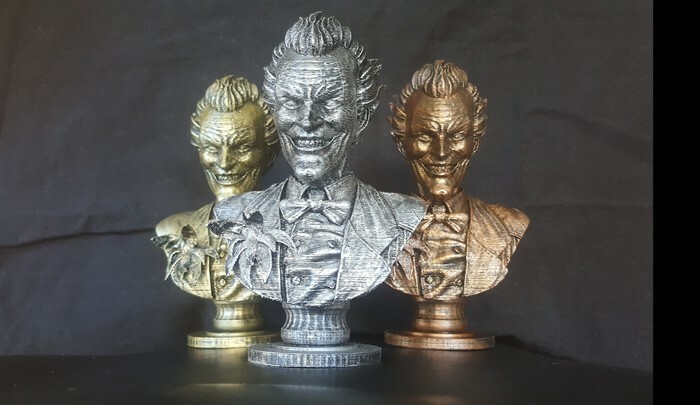 You can choose from Gold, Silver or Bronze (please see pictures). It is approximately 15cm high (5.9 inches) and weighs just under 62 grams (2 ounces). 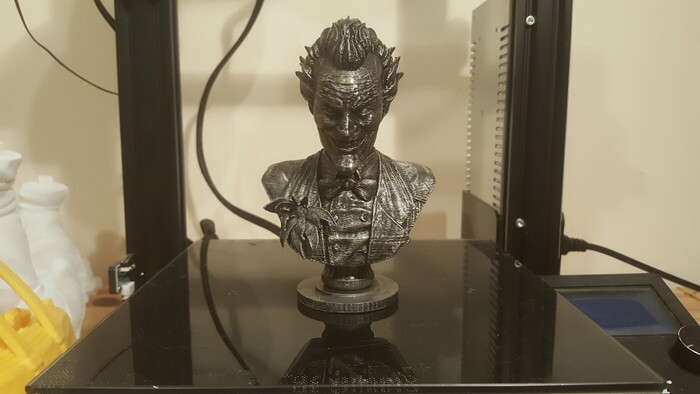 I can custom print this Joker bust in a different size. Please contact me for a quote. It is plastic that has been hand-painted to look like metal, and extremely light-weight. This is not made of any metal. 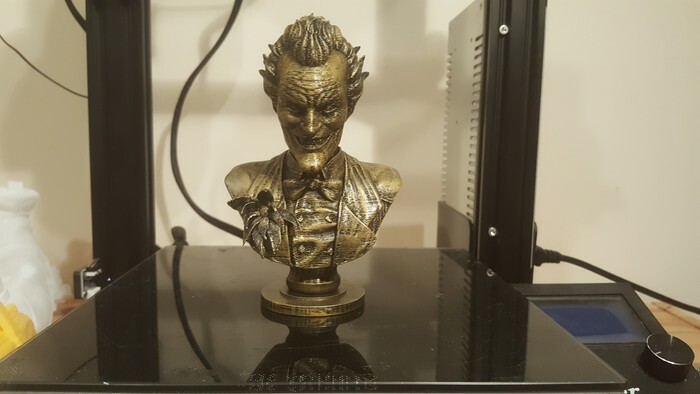 I make these busts individually for each order so please allow at least 2-5 days for printing and painting. As they are hand-painted individually there will be some variations to the pictures shown. 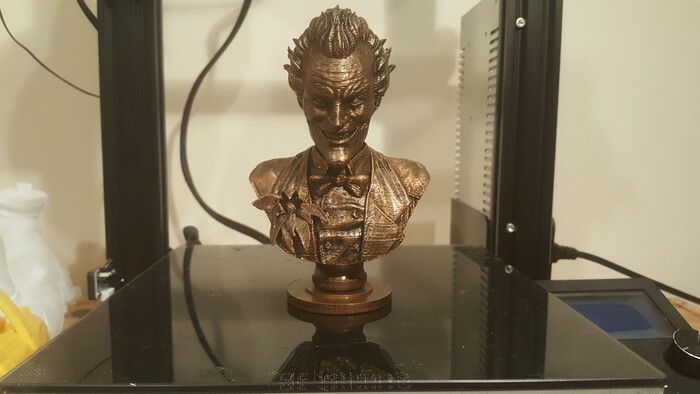 I do not claim any ownership of the design and this model is handmade specifically for personal use only. 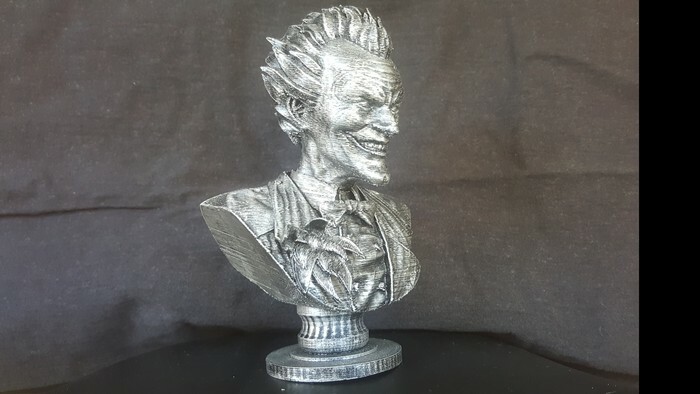 This is not an official DC Comic product. Payment within 3 days of purchase is appreciated.